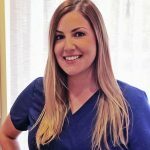 Utopia Medspa welcomes Kandace Schultz as our newest aesthetician. 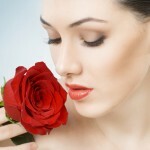 A Licensed Medical Aesthetician with six years of experience, Kandace has a loyal clientele. She performs a wide range of aesthetic skincare treatments, including Microneedling with Bellus SkinPen, PRP Facials, microdermabrasion, and various chemical peels such as PCA, Dermaceutic, Obagi, and Skin Medica. She is also very experienced using the following devices: Visia, Inmode device using Forma, Bodyfx/plus, Diolaze and Lumecca, LimeLight laser and Laser Hair Removal. Kandace works closely with Dr. Franklin Rose to help renew patient’s cell cycles and over-all programs to utilize the combination of plastic surgery with aesthetic skincare treatments to help you look your best. A former Page Parkes model, Kandace enjoys the fashion and beauty industry, which has inspired and expanded her knowledge of skin care. Patients love her thorough, detail-oriented approach to treatments. Her goal is to make every woman feel and look beautiful. Kandace works closely with Dr. Rose to help renew patient’s cell cycles and over-all programs to utilize the combination of plastic surgery with aesthetic skincare treatments to help you look your best. “Fitness is my lifestyle by choice,” says Kandace. Stemming from growing up with 90% of my family being overweight and leading unhealthy lifestyles, I decided to not be another statistic of my genetic heritage. Starting in Middle School I found I had a gift, the legs of a sprinter and the speed of a cheetah. With over seven years as a sprinter, I took on the challenge of becoming one of the top hurdlers in my district. Come visit Kandace at Utopia MedSpa and get her best tips & treatments to help you look YOUR VERY BEST!